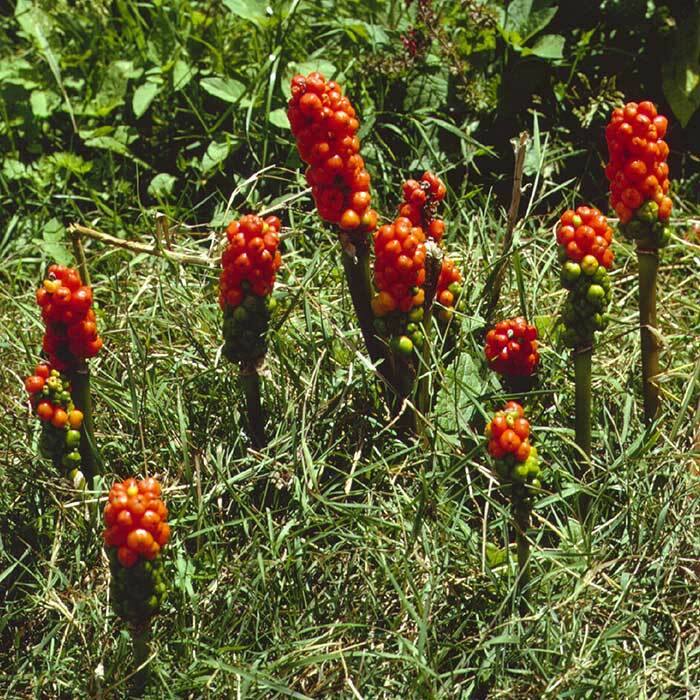 Found in shady spots in older gardens or homestead sites, along hedgerows, in pastures, waste and unkempt places, across scattered damp North Island localities and occasionally in Nelson, Marlborough and Canterbury. Listed as a pest plant in several Regional Pest Plant Management Strategies – consult your Regional Council’s website for details. The inflorescence generates some heat enabling the volatilization of odours that attract flies to pollinate the flowers. 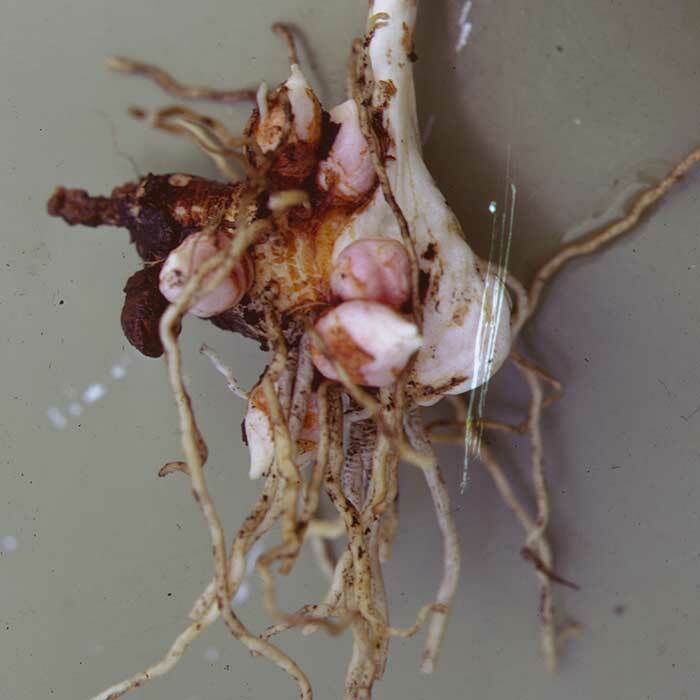 The tuber has been cooked and used as a vegetable, and arrowroot can be extracted from the dried tubers. Its effects on humans are similar so that even though the attractive berries may entice children they are unlikely to eat more than one. 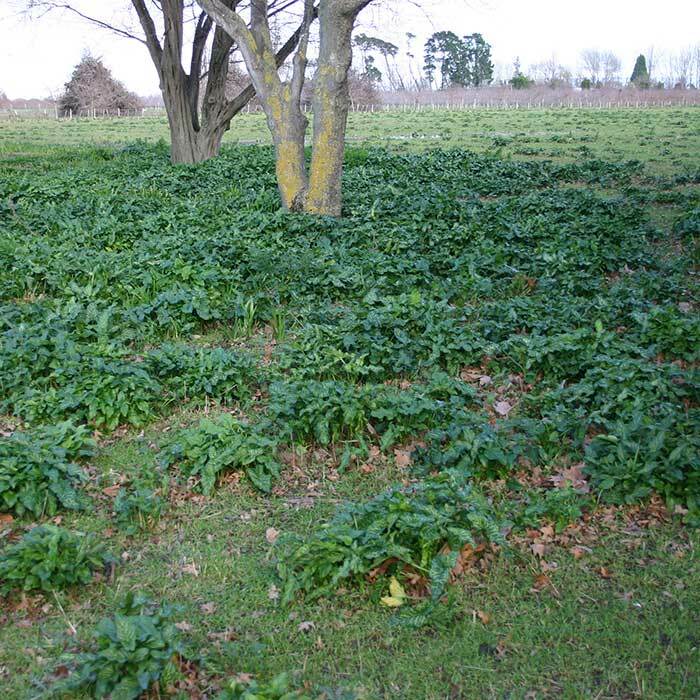 Usually ignored by livestock but most likely stock will not graze close to the plants. 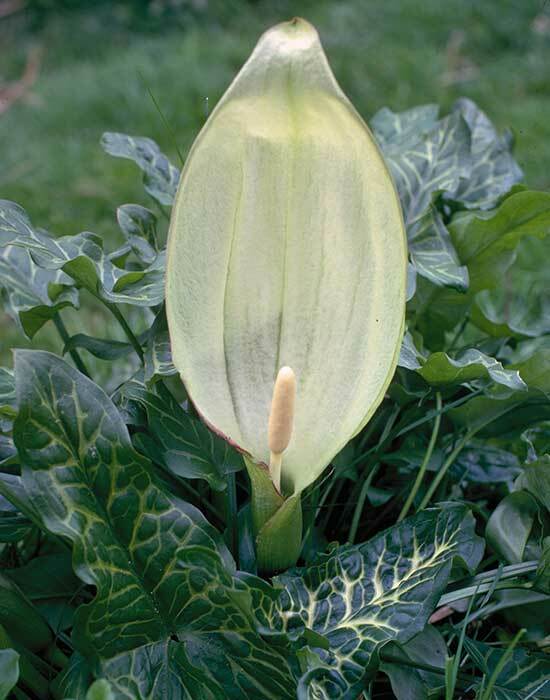 Fortunately livestock normally ignore Italian arum so are not likely to suffer from poisoning. Even regular cutting or digging out the plants is likely to make eradication a long, slow process. Weedbusters 2014. 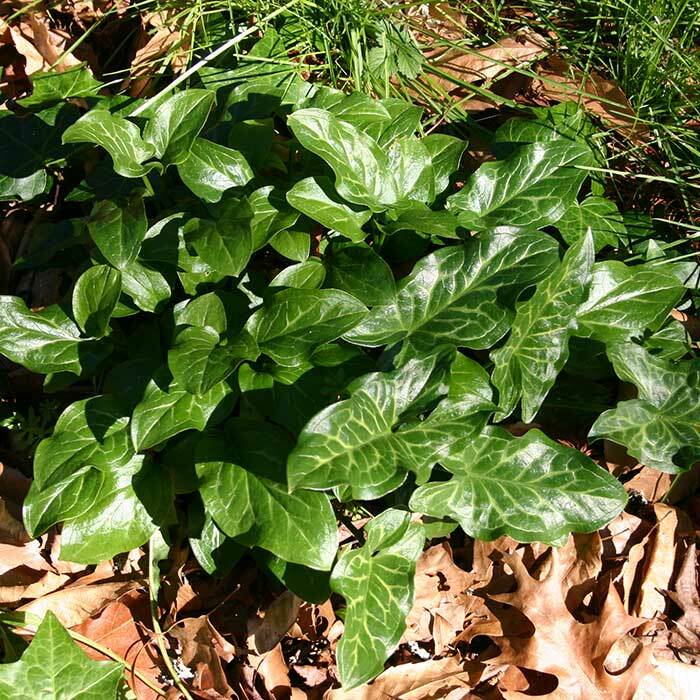 Arum italicum factsheet (accessed 4 February 2015).